We Run Events, LLC is an event management organization specializing in sports management. Located in Bristol, TN, we manage events in Northeast Tennessee, Southwest Virginia, and surrounding areas, including: the Crazy 8s 8K Run, The Haunted Half Marathon, the Shamrock 4 Miler, the Johnson City Turkey Trot, and many others. We Run Events won a 1st Place Award at the 2013 KOSBE (Kingsport Office of Small Business Excellence) Awards, and in 2011, We Run Events was proud to be a part of the Chronotrack timing crew for the ING New York City Marathon, and is currently part of the timing crew for the Kiawah Island Marathon . We are eager to use our expertise to make your next sport event a success! We Run Events is owned and managed by the husband/wife team of Hank Brown and Natalie Whitlock. Hank has finished 7 marathons, including the Boston Marathon. He is a past-chair of the USA Track & Field Men’s and Women’s Long Distance Running Championships Committees, and served as USA team manager for both the World Cup Marathon in Athens, Greece, and the Yokohama Ekiden in Yokohama, Japan. Hank founded the Crazy 8s 8K Run, which has produced world records for both men and women, and the Haunted Half Marathon. He is past president of the State of Franklin Track Club and former contributor to Running Journal. In 2019, Hank was very honored to be named to the inaugural State Of Franklin Track Club Hall Of Fame. Natalie has finished 2 marathons, qualifying for the Boston Marathon in her very first marathon, the Tybee Island Marathon. She is past-president of the State of Franklin Track Club, and founded the White Lightning Ride, the Santa Special AniMile, the Beaver 10K, and was instrumental in starting the Bristol Half & Half Marathon. 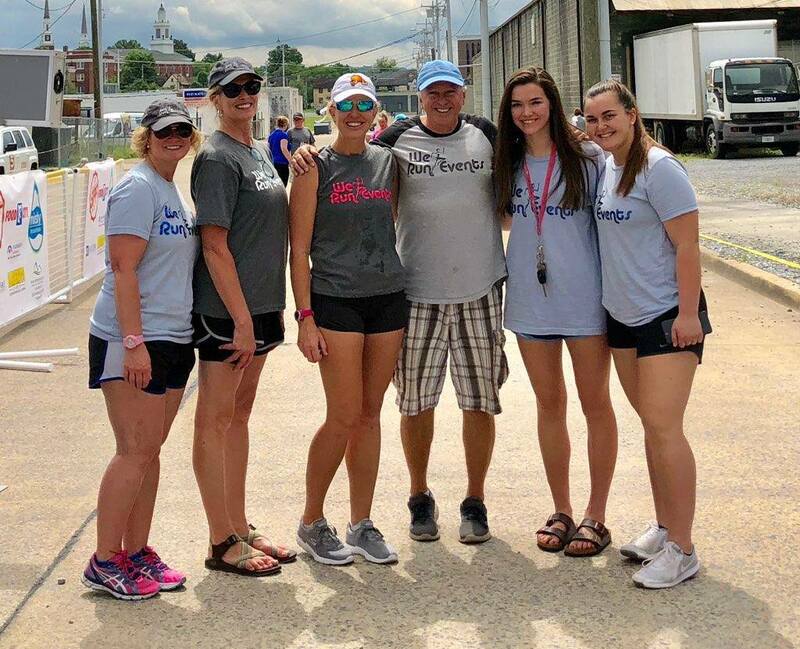 In 2018 she started the Dog Days Of Summer Mile which benefits the Emergency Management Division of the Bristol, VA Fire Dept to purchase supplies for its new Pet Shelter Support Trailer. She is an advocate for animal rights, and is passionate about finding a cure for cancer. Both Natalie and Hank are proud to be cancer survivors. The We Run Events crew is very professional and experienced. All crew members are well-trained and go above and beyond to make each event a great experience for the participants.